A complete Australia wide and international Landscape Design and Project Management service, BLADE Landscape Design offers tailored design solutions to enhance your outdoor living environments. At BLADE Landscape Design we provide a range of comprehensive and structured design services for all your landscaping requirements. From the initial design consultation to the construction phase, we offer all necessary services to complete the job to satisfy your project brief. With the range of services offered, quality of the project is assured with our proven team of fully licensed landscaping professionals, horticulturists, builders, pavers, rock wall specialists, tilers, concreters, fencers and plumbers. If what you are seeking is not listed on here feel free to talk to us and we would be happy to assist you and offer our professional advice. - Landscape design & documentation - Landscape design for DIY gardeners - Horticulture consultation - Conservation and land management - Project management Our driving motivation is the ongoing development of new and improved ways to serve our vast and diverse client base. You will find your interactions with our BLADE staff unfailingly helpful and rewarding. Your satisfaction is important to us and we exercise our original, fresh and innovative designs and strive to create beautiful and practical results to fulfil your project expectations. Our reliable and confident team of qualified Landscape Architects, Landscape Designers, Interior Designers and Project Managers approach each project with passion and determination to deliver unique, successful and memorable outdoor living solutions. With over 28 years experience within the industry, Exterior Solutions has the focus, ability, experience and knowledge to oversee your outdoor project. 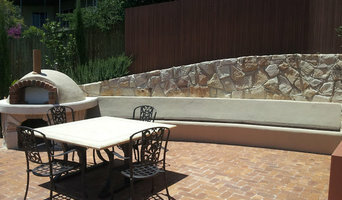 Whether it be landscaping, paving, big decks, garden care, window clean, pest treatment, driveways, retaining walls, pool fencing, house wash, artificial turf design, installation and maintaining services for domestic, commercial clients, we will ensure that all your requirements are adhered to with the utmost professionalism and efficiency. We can provide landscaping or exterior design to your exact specifications, with our aim to ensure your satisfaction. Each job is uniquely designed to suit your individual needs, with the ability to improve upon any existing landscape, utilising every bit of space. Whether landscaping to secure property values or seeking maintenance services to allow you to spend your valuable time on more important things Exterior Solutions can guarantee you the highest possible standard of workmanship with the least amount of fuss Servicing the Toowoomba and surrounding areas since 1985, Exterior Solutions, can create clean, uncluttered, functional, elegant, luxury environments for YOU. Houzz is a great place to start your search for the right Toowoomba, Queensland landscape architect or designer. You can either browse outdoor photos and find professionals linked to them, or you can browse our professional directory, see their latest projects, read reviews, and narrow down your search based on your style preferences. Once you’re down to a few, reach out and get some quotations to make your final choice.